The martial arts are based upon understanding, hard work and a total comprehension of skills. Power training and the use of force are easy, but total comprehension of all of the skills of martial arts is very difficult to achieve. To understand you must study all of natural movement in all living things. Naturally, you can understand the martial arts of others. You can study the timing and the weaknesses. Just knowing these two elements will give you the capacity to knock him down rather easily. Karate Jutsu Gakkai translates as Academy of Karate Methodology. SKA is an active karate academy affiliated to Tasaki’s Seiwakai organisation, chaired by Fujiwara Sensei and, outside Japan, by Shihan Leo Lipinski. SKA prides itself to be an inquisitive and forward thinking academy. We explore karate holistically: we look back and outside the ‘karate box’ in order to work out our way forward. This adjustment in the direction of our small, but very focused academy is not new, but the result of a long journey. A process of karate evolution and growth, guided by Shihan Ben Craft whose words define the path clear: “a true scholar studies his chosen subject from all and every angle”. On reflection an important conclusion we have reached is that Goju is a concept way deeper than that of a style. “Ho wa Gōjū wa Donto su (Everything in the university is breathing hard and soft)” says the Bubishi, Miyagi’s source of inspiration when naming his naha-te style. When you try to adapt the Art to a specific style, you begin to constrain yourself. The style should be ergonomic to the man, not the man to the style, for each karateka is unique. When it comes to expressing the Art, each and everyone of us will do so in our own way. 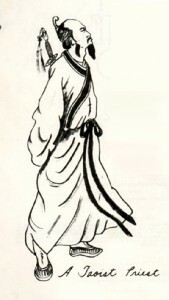 At SKA, we look at fundamentals of Fujian White Crane kung-fu, elements of Wing Chun and, lately, Wushu. We study the comprehensive research conducted by Hanshi McCarthy as we think that overlooking these heritages is an academic crime. Thus, we embrace and train Koryu Uchinadi. We pride ourselves to be loyal to our roots in Seiwakai, but also to grow wings to study, learn, move and evolve. Just like every living species: not adapting means dying and it is, precisely, in constant change, relentless exploration; and inner and outer growth that we find our comfort zone. SKA is back on the 4th January 2016. We train Mondays @ 8:15pm – 10pm and Thursdays @ 8:30pm – 10pm at Riverbourne Leisure Centre, Chertsey. Surrey Karate Academy is affiliated to Seiwakai which is an association within the wider JKF Goju Kai association, in Japan. Seiwakai was founded by Tasaki Shihan, who was one of Yamaguchi Gogen’s most competent fighters. Seiwakai is now chaired by Fujiwara Shihan and outside Japan by Leo Lipinski Shihan. 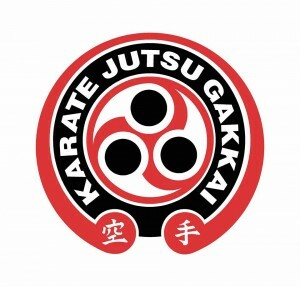 We are also associated to the Karate Jutsu Gakkai, chaired by Ben Craft Shihan. Ben is a 6th dan goju-ryu karateka and also holds a black belt in Ju-jutsu. We explore and train karate in a holistically manner and whilst we aim to grow within the Seiwakai family, we are also expanding our wings. We have plans in 2016 to develop our karate in an eclectic manner. Watch this space! Like most karate academy’s we follow a well structured syllabus and work on kata, kihon and kumite, however we focus in very functional drills and our sparring can be pretty hard, yet is learnt in a modular basis. Kata analysis and its application in kumite is fundamental to what we do. Classes are planned with the upper most attention to detail, from warm up to etiquette. What really sets SKA apart of other karate academy’s or clubs is the fact that SKA is a non-for-profit academy, thus we are not tied to commercial decisions which are essential when karate is how you make your living. All funds are used to pay rent, insurance, memberships and further training. I teach and train with a range of 5-7 extremely focused and committed students, two of which are a 1st and 2nd dan respectively. Our size allows me to deliver bespoke and personalised classes to every single student, including myself. Try something new in 2016, come and train with us!!! In a close-range punching contest described in Cerebral Cortex, experts consistently out-hit novices. Scientists peered deep into the brains of the experts to reveal alterations in regions controlling movement. These changes were linked with better coordination and speed of punch, a team from Imperial College London and University College London concluded. To determine the speed of the punch, the researchers filmed and timed the movement of the infrared sensors attached to shoulders, elbows, wrists and hips of the people. The study of brain structure and function has been accelerated by the development of new medical imaging techniques, such as Magnetic Resonance Imaging (MRI). The current study used a special MRI technique called Diffusion Tensor Imaging. This is useful in the investigation of a variety of brain disorders such as multiple sclerosis, epilepsy, brain abscesses and brain tumors. 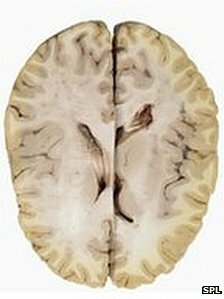 The brain contains two main types of tissue – grey and white matter. The regions controlling and coordinating movement are known as the cerebellum and the primary motor cortex and are composed of both. However, the study showed that changes in the structure of the white matter were associated with improved coordination. Changes in white matter structure have been observed in other individuals engaged in repetitive physical activity – pianists for example – and can also be induced simply by thought. In a study published in the journal PNAS, the authors showed that regular meditation resulted in white matter changes in regions of the brain associated with emotion. Commenting on his findings, Dr Roberts said: “Most research on how the brain controls movement has been based on examining how diseases can impair motor skills. Also, by looking at healthy subjects, it is hoped that scientists will gain a better understanding of how movement is controlled. One of the main diseases affecting white matter is multiple sclerosis (MS). This is a chronic degenerative disease that affects millions of people around the world. But the cause of MS remains unknown. A powerful punch is not the result of strong muscles, but the features that make up the brain, scientists have found. A study of karate experts has shown the make-up of the brain is the key to determining how much force is generated when sportsmen or women punch at close range. Scientists, who compared karate black belts trained to punch with physically fit members of the public, found the brain’s white matter – which acts as the connections between brain regions – correlated directly with punching ability. They concluded the power of a punch is not down to the strength of muscles but the timing, with synchronised movement between the wrist and shoulders essential. While it is not yet certain whether differences in white matter were the cause or effect of successful punching, scientists suspect the brains of those who can punch changed and developed as a result of training. The study, which has now been published in the journal Cerebral Cortex, used 12 karate black belts with an average of 13.8 years experience, who were fitted with infrared markers on their arms and torso. Their results were then compared with the efforts of 12 control subjects of similar age, who exercised regularly but were not trained in martial arts. Over a short range distance of 5cm, those who had black belts in karate were found to punch harder. Brain scans on each group revealed the white matter in cells, mainly made up of bundles of fibre that carry signals, were different in structure. The scans used in this study, known as diffusion tensor imaging (DTI), detected structural differences in the white matter of the cerebellum and the primary motor cortex, known to be involved in controlling movement. The difference correlated not only with the synchronicity between wrist and shoulder movements when punching, but also the age at which karate experts began training and their total experience of the discipline. These findings suggest that the structural differences in the brain are related to the black belts’ punching ability. Dr Ed Roberts, from the Department of Medicine at Imperial College London, who led the study, said: “The karate black belts were able to repeatedly coordinate their punching action with a level of coordination that novices can’t produce. “We think that ability might be related to fine tuning of neural connections in the cerebellum, allowing them to synchronise their arm and trunk movements very accurately. The research was carried out by Imperial College London and University College London. When, in a split of a second, your life is threatened, do you say, “Let me make sure my hand is on my hip, and my style is ‘the’ style”? When your life is in danger, do you argue about the method you will adhere to while saving yourself? Why the duality?